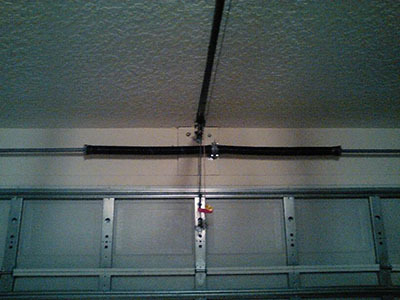 Finding the perfect garage door spring mechanism for your door may seem like an unfamiliar task, but we are here to help you in any way that we possibly can. We in Garage Door Repair Barrington offer both torsion mechanisms and extension mechanisms for your door. Our quality garage products will change your life for the better, and we will do everything possible to help you make the right choice. What is the best type of spring mechanism to get? The answer to this question really depends on the weight of your door and how much strength will be needed to lift it. Some torsion spring mechanisms offer you between 10,000 to 15,000 cycles, with a cycle being the full open and close maneuver. However, some spring mechanisms may even go up to 30,000 cycles in their lifetime. How long your springs will last depends on the type of maintenance that you provide for them, and how often your garage door is used. We suggest that you think about this, and of course your budget, and then leave it up to us to find a suitable door with spring mechanism for you. Almost all of the products that we buy will eventually need to be repaired or replaced at some time or another. Not only will we install your garage door and its springs, we will also assist in repairing and replacing these products. Our services include not only torsion spring repair and replacement, but overall spring repair. Now, you won’t have to worry about installing your springs, or replacing them. You just need to choose which garage door you like and let us take care of the rest for you. It is very important that you remember that these springs are responsible for holding onto a huge amount of tension and should only be handled by professionals. Our friendly, and technically knowledgeable, staff will assist in any way that they can to ensure that you are completely happy with our service and with our products.